On March 1, 2016, Heather Franco was appointed as the Managing Attorney for Mullen & Filippi's Riverside regional office after having joined the Firm in 2013. She has represented employers, insurance carriers and third party administrators in workers' compensation and related matters, including willful misconduct and unlawful discrimination pursuant to Labor Code Section 132(a) since 2012. 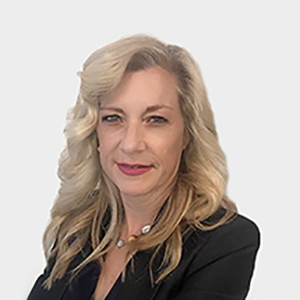 Heather practices at the Riverside, Pomona, and San Bernardino WCAB district offices, and has formed effective working relationships with most of the Applicant's Bar and the Bench at all three venues. Heather joined the California State Bar in 2005. She practiced for seven years in the area of disability law and is well versed in the rights and responsibilities of businesses with respect to Federal and State disability laws. In 2007, as part of a team, she was a finalist for the Public Justice Foundation Trial Lawyer of the Year. In 2009, she was awarded the California State Bar Jack Berman Award of Achievement. Heather received her law degree from Loyola Law School in Los Angeles in 2004 where she also achieved the Dean's Honor List. Upon graduation, she was awarded the Loyola Law School Post-Graduate Public Interest Fellowship. She earned a Bachelor of Arts from Mount St. Mary's College, where she maintained her place on the Dean's Honor List for eleven consecutive trimesters. Heather is a member of the State Bar of California and a member of the Workers' Compensation Law section of the State Bar of California. She is also a member of the American Bar Association and is admitted to practice in the United States District Court, Central District of California. I have enjoyed my career as an attorney from the very first day. Initially what attracted me to the law was the opportunity to engage in intellectual and innovative problem solving. This is still true, but being an attorney provides much more than that to me today. Some situations call for aggressive advocacy. Some call for adroit negotiation skills. Still others call for sheer persistence. I derive great satisfaction from the opportunity to hone these varied skills on a daily basis, and practicing in the field of workers' compensation defense provides that opportunity. Delivering good news to clients is at the top of the satisfaction pyramid. And, I really enjoy getting to know my clients and forming effective, gratifying, lasting, and sometimes humorous relationships. I have been told that if I am laughing nearby, you don't have to see me to know I'm there. Apparently my laugh is quite recognizable. I was raised in a family of fierce wordplay virtuosos, and consider wordplay to be a hobby. It is a hobby that requires no equipment or fees, and can be practiced anywhere, any time. I also have a mild Jeopardy! dependence. I am continually inspired by my kind and clever children, and am working on curbing my tendency to bring home stray dogs.